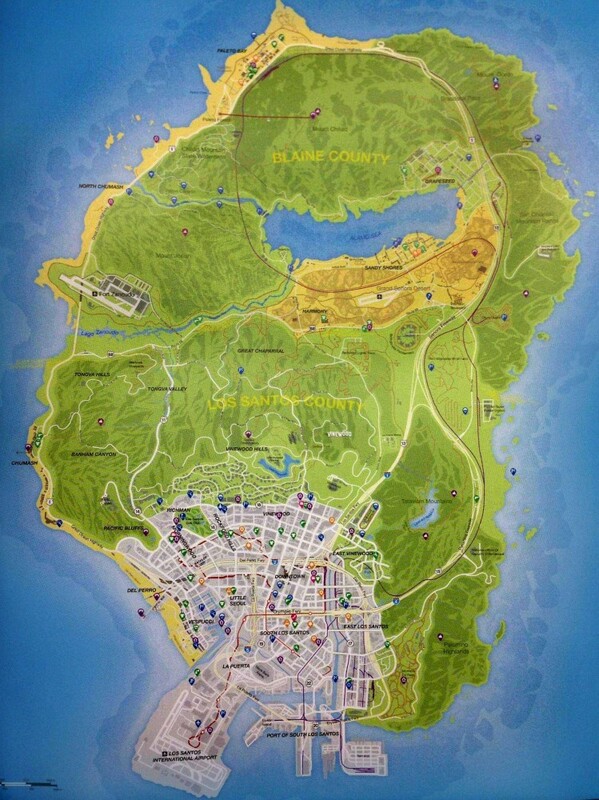 The full map of GTA V’s open world has been leaked, possibly from a strategy guide, and includes points of interest and showing just how expansive the in-game world is. The image first appeared on a thread on Reddit, but has since been removed, most likely at the request of Rockstar Games. The map shows quite a lot of empty / green space in comparison to the size of the main city, so it will be interesting to see how these spaces are used in the game. 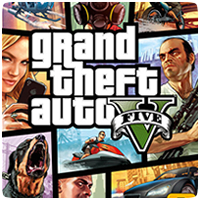 The game releases on the PS3 and Xbox 360 in less than a week, on September 17th 2013.